Dom Hodgson, owner of DBC member Pack Leader, tweeted Theo about his business during ‘Small Business Sunday’, an initiative set up by Theo that runs weekly. Theo retweeted Dom’s message to his 260,000 followers and as a result, Dom has hundreds of new followers and mentions and enquiries about his business have also followed. He has also been profiled on a new website that is exclusive to Small Business Sunday winners. 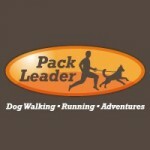 Pack Leader provide a wider range of services than a typical dog walker. The dogs get taken on 1.5 hour ‘Adventures’ in different locations everyday which keeps them mentally stimulated and physically exercised. Dom said, “I’ve been in business just over one year now and have just taken on my first employee so to get this support from Theo now at this optimum time is brilliant. It’s helped raise our profile and Theo has recognised our hard work and helped spread the word about what we do to his huge following.” Pack Leader Dog Adventures is the first dog walking business to have won ‘Small Business Sunday’. Anyone looking for a retweet from Theo should tweet him about their business on Sunday between 5 PM and 7.30 PM and include the hashtag #SBS. Six lucky businesses are retweeted every Monday at 8 PM and then invited to enter their profile on the new website. This is done free of charge and the new website is sponsored by Ryman Stationery, where Theo is Chairman.